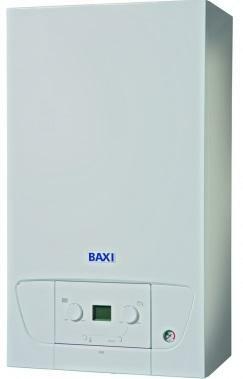 The 224 Combi gas boiler from Baxi mounts neatly on the wall and offers an output of 24kW making it rated B for both heat and hot water. This boiler is perfect for those homes where space is at a premium or those that would prefer to hide their boiler away discreetly. The 224 from Baxi has more flue options than most other boilers including different lengths, bends, and accessories - meaning this boiler can be installed pretty much anywhere. You have some different tech options with the 224 Combi as well, as you can control most settings from the comfort of your couch using just your tablet or smartphone. All these extra features do not add to the weight however, as this boiler weighs in at just 26 kg making it an easy to install boiler. This boiler has neater installation than some other boilers on the market and is also available in a 28kW output should your installer recommend it. You’re also covered with a 3 year warranty as standard on this particular model.